With the addition of the SAF product line, Turface provides wall-to-wall field maintenance along with the ultimate products for field construction and renovation. On Skinned Infields: Try our best selling Turface MVP®, top quality Pro League® or our Quick Dry® conditioner for puddles and standing water. To provide the ultimate sliding surface, try our SlideMaster™ topdressing. On Sports Turf: Select Field & Fairway Emerald or our versatile Turface MVP. 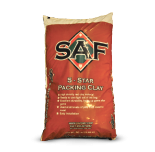 For Mounds & Batter’s Boxes: Build a firm foundation with virgin clay MoundMaster® Blocks, Turface Professional Mound Clay®, or SAF™ 5-Star™ Packing Clay. For Visibility and Safety: Choose ProLine™ Athletic Field Marker and TrackPro™ Warning Track Aggregates. Whether you’re renovating an infield, building a batter’s box, improving native sports turf or simply saving the game from a spring rain, Turface has the products to Keep America Playing. White line chalk and warning track aggregates are now in the Turface lineup. 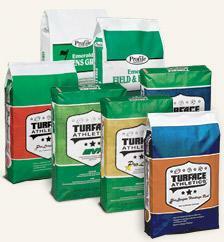 Build and repair pitcher’s mounds, batter’s boxes and catcher’s boxes with top-quality packing clays from Turface. Hear testimonials from the pros that use Turface for their fields.